Eleazar Rodríguez has received critical acclaim for his portrayals of leading roles in operas by Donizetti, Rossini, and Mozart. Previously for ENO: Almaviva The Barber of Seville. Notable engagements elsewhere: Percy Anna Bolena, Nemorino L’elisir d’amore, Tebaldo I Capuleti e i Montecchi, Belmonte Die Entführung aus dem Serail, Tamino Die Zauberflöte, David Die Meistersinger von Nürnberg, Tonio La fille du regiment, tenor soloist Carmina Burana, Roméo Roméo et Juliette (Staatstheater, Karlsruhe); Tamino (Konzert Theater Bern, Theater Heidelberg); Nemorino, Fenton Falstaff (Staatstheater Saarbrücken); Fenton (Lucerne); Almaviva (Oper Graz, Michigan Opera Theatre). Concert engagements include Britten’s Les Illuminations (Karlsruhe). 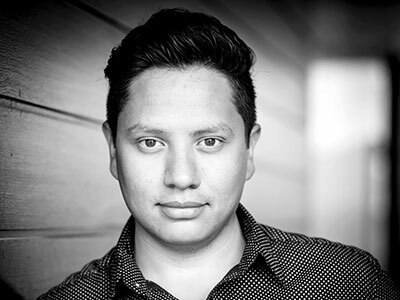 A native of Piedras Negras, Mexico, he is a graduate of the San Francisco Conservatory of Music and was a member of San Francisco Opera’s Merola Program. Forthcoming: title role Roberto Devereux (Karlsruhe).